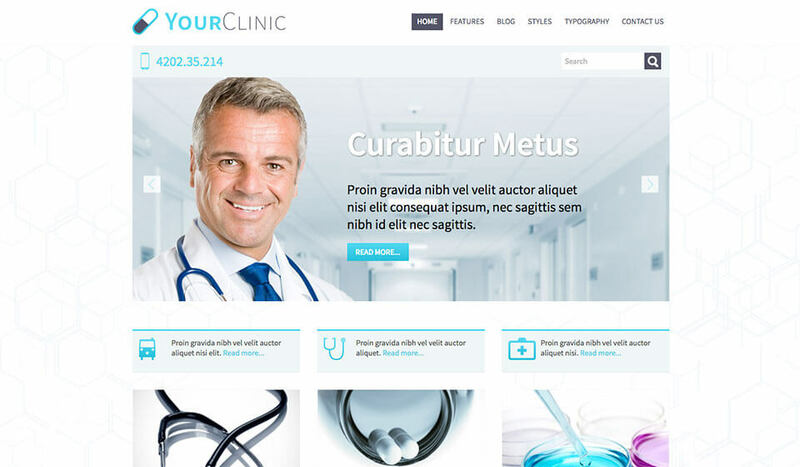 Clinic WordPress theme is as a solid starting point for making of responsive sites related to medicine. This is a theme for medical websites. Such websites could be developed for clinics, companies that offer medical services, sites about healthy life and all related subjects. We should care about our health and overall body condition. At the same time, clinics and all other medical institutions care about our health and their profit! The online presence of such subjects is important. People who care about health sometimes need medical assistance. They thoroughly select clinics they would visit! Like in all other aspects of modern life, the selection can be made online. 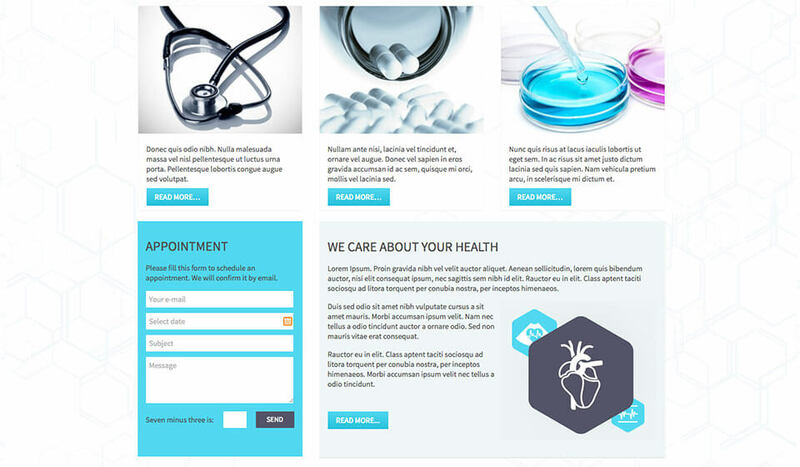 When a clinic’s website has been discovered and visited by a potential patient, its main purpose is to explain the clinic’s services and practice. It could also introduce doctors and medical staff who are employed there. To develop such a website quickly, look no further! We created the Clinic WordPress theme to save your time! 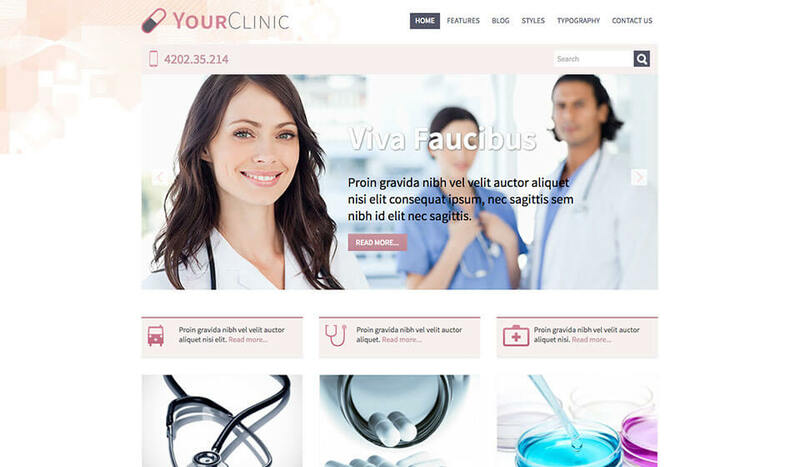 Hot Clinic is a theme that could be used as a solid starting point for development of a clinic’s website. It’s based on the Sparky theme framework. This is the only framework which won’t make you feel “framed”. 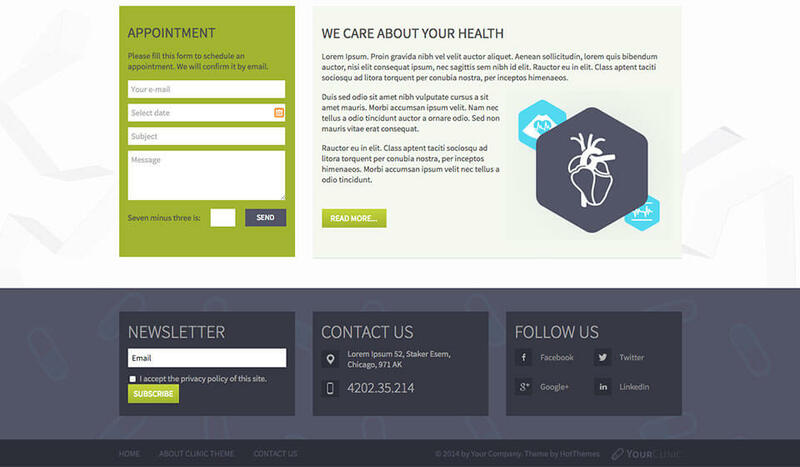 The framework allows you to easily control all aspects of the Clinic WordPress theme, including the layout. 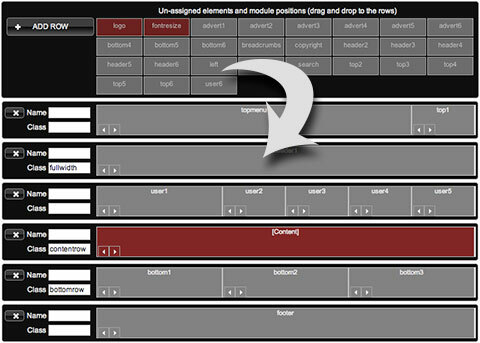 Everything inside the framework works in drag and drop way, so it’s easy to learn it. 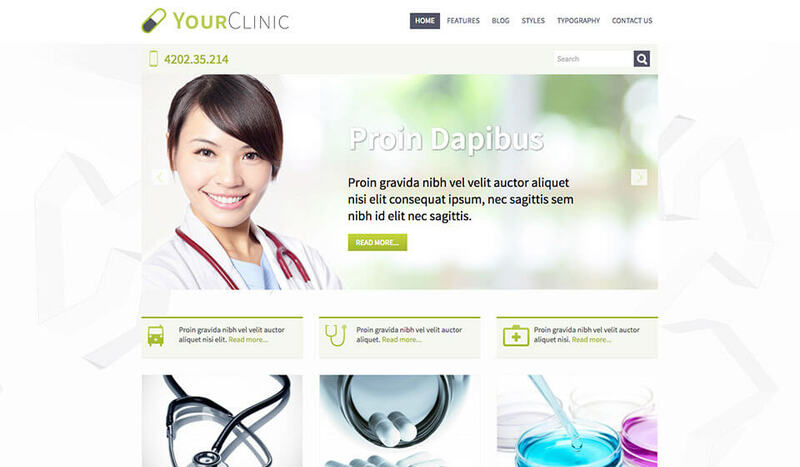 Clinic WordPress theme is equipped with several plugins developed by HotThemes. The main role on the home page is given to the Hot Full Carousel – responsive carousel plugin for WordPress. Beside this plugin, theme also includes WordPress slideshow plugin – Hot Effects Rotator. It’s good to add a precise map on the contact page and allow patients to find the clinic. We included WordPress Google maps plugin – Hot Maps. Finally, the Lightbox plugin and Hot Gallery can be used for making photo presentations of the clinic. All these plugins are included in the package of the Clinic WordPress theme. 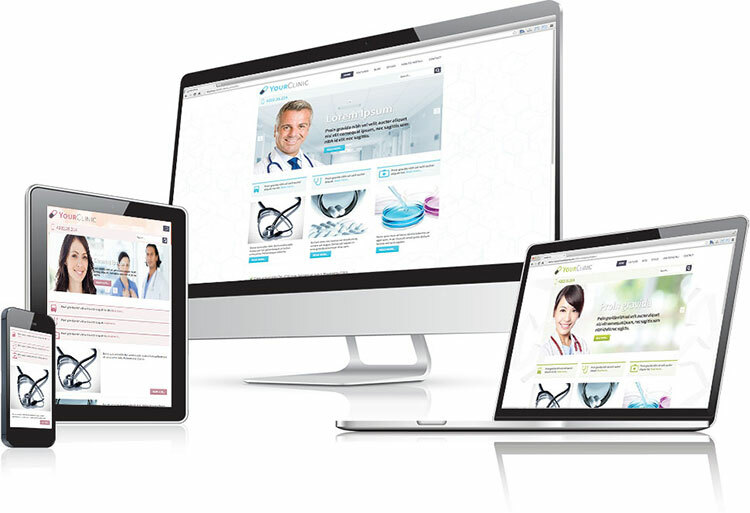 Hot Clinic is responsive theme and it looks great on all screen sizes! It automatically adopts the layout according to the user’s screen resolution. So, it’s 100% mobile friendly. 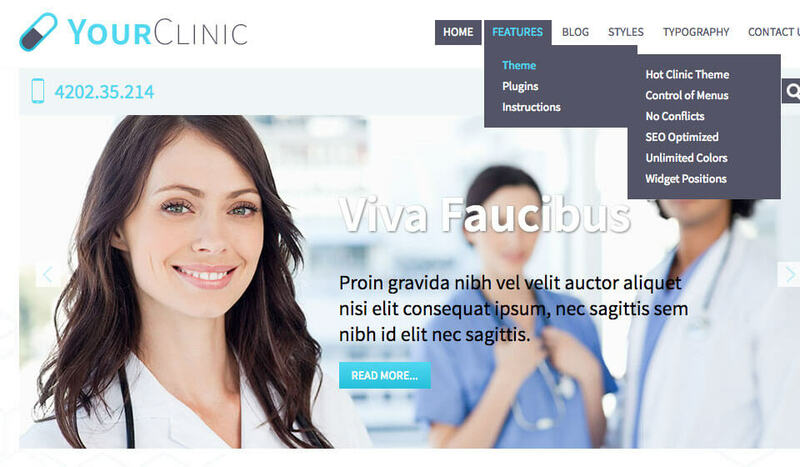 Hot Clinic is a responsive WordPress theme. This means it will look good and optimized on all desktop and notebook computers, as well as mobile devices (tablets and smartphones)!